Gunther Schuller (left) and his successor Zuill Bailey. 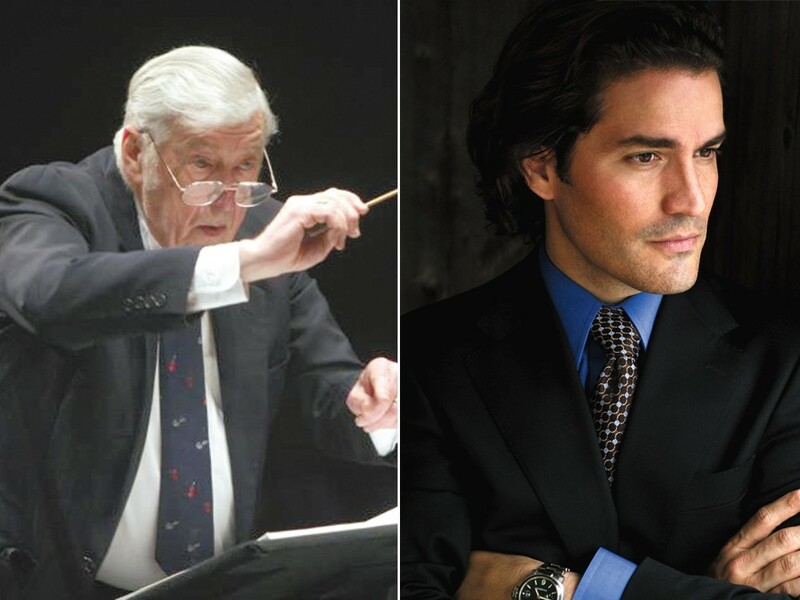 For the past 20 years, the Northwest Bach Festival has been headed by Gunther Schuller. A composer, musician and scholar, Schuller is perhaps most widely known as the man who coined the term “Third Stream” in the 1950s to describe the hybridization of jazz and classical music. Under his guidance, the reputation of the festival has expanded from a regional to a national one, and its program has grown beyond smaller ensembles and chamber pieces to include the composer’s grander works such as masses and passions. Oddly, though, Schuller’s crowning feat as artistic director was making the Northwest Bach Festival slightly less Bach-centric. “Six years ago, I had the idea of expanding the festival to have a pre-Bach part, and a post-Bach part — meaning doing anything from as far back as Monteverdi, who was a whole century before Bach, or after that, to do Haydn and Beethoven,” Schuller says from his home in Boston. “As you know, Bach was pretty much dismissed after his death, and it took Mendelssohn to rediscover him. So I added a hundred years before and after the baroque period. The idea was to see what there was before Bach and what came after, and how different it was, or how little actual influence of Bach carried over. I think it has been hugely successful,” says Schuller. This year’s festival will be Schuller’s last as artistic director. He readily admits that, at 87, he can no longer keep up with the demands of a schedule that would daunt those half his age: an upcoming premiere in Munich, proofreading new compositions and conducting work at home and abroad. “My secretary has suffered,” he chuckles. Assuming the role of artistic director will be Zuill Bailey, a cellist with a long list of releases, many on the esteemed Telarc label. In many ways, Bailey is an ideal successor. The 40-year-old has the face of an Italian fashion model and years of experience as an artistic director for the Sitka Summer Music Festival in Alaska and El Paso Pro Musica in Texas. Even more important, he feels a close personal connection to Bach, something that was made apparent by his acclaimed 2010 recording of the composer’s cello suites. Bailey emphasizes that this year’s is not a “transition festival” — which is to say, despite the passing of the baton, the Bach Festival will continue as seamlessly as it has since 1978. He does, however, have loose plans to establish “a year-round presence” for the festival through supplementary concerts and educational series, much like what he has done in El Paso. For his part, Schuller intends to bow out in style. He has pieces both popular and unusual planned for this year’s festival program, including Bach’s Brandenburg Concerto No. 2, which has a fiendishly difficult trumpet part, and the Motet for Forty Voices by the obscure 16th-century Italian composer Alessandro Striggio.